A private home once stood on this property before it became Kimbrell's Furniture Store. This business has been in continuous service since the mid 1950s. The firm of E.W. Kimbrell was an institution in downtown Fort Mill, employing a highly qualified and ambitious staff. The paper reported on June 24, 1909 - "A fancy grocery will be opened here in September under the name of Stewart and Culp. The firm will operate in the space recently made vacant by the Park Drug Store. Mr. O.T. Culp is currently employed in the grocery department of the Kimbrell Company." 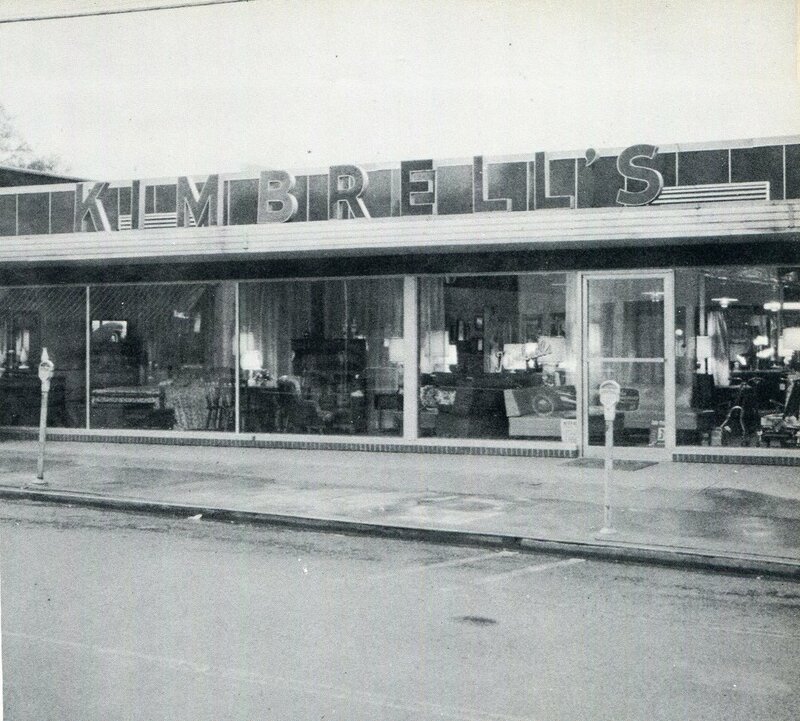 Kimbrell's stores have been a Fort Mill enterprise for decades. On Jan. 19, 1911 the Fort Mill Times reported, "The annual meeting of stockholders of the E.W. Kimbrell Co., one of Fort Mill's largest mercantile establishments was held on the 10th. Secretary E.W. Kimbrell, W.B. Meacham, Pres. - Gen. Manager, and W. H. Belk, VP attended...."